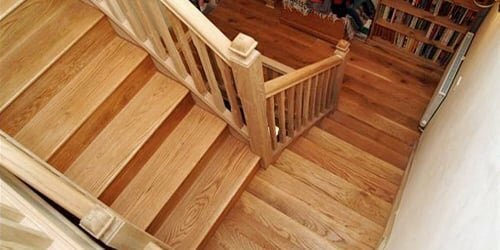 Blog - Why choose oak for your new staircase? Oak is a highly adaptable wood that can be finished in a variety of ways, and, even when treated to retain its natural colour, can prove complementary to almost any kind of interior design. Natural oak is soft and unobtrusive in shade, meaning that bolder choices of staircase components or other furnishings can stand out well against it. Oak is also an attractive material in itself, and can make even simple staircase designs appear impressive and sleek. As well as being naturally beautiful, oak is also an easy wood to paint or stain, so it’s great if you’re planning on a bolder look too. Many woodworkers favour oak, as it is highly pliable and easy to manipulate. This means that there is a variety of interesting looks that are possible when using this particular material. From sharp modern minimalism to rustic, traditionalist design, oak is the ideal choice whatever your tastes and your intended look. Throughout history, oak has been a favoured material of fitters and homeowners alike, so it’s a great wood to use to give your house that touch of old-fashioned charm. 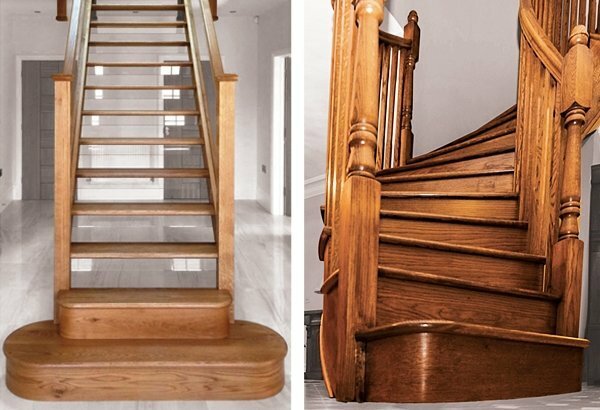 Not only has the look of oak never gone out of fashion, but the hardiness of this wood ensures that oak staircase components are unlikely to require repair or replacement. If you want a simple way to futureproof your staircase, oak is certainly the way to go. It’s worth investing in a sturdy new set of stairs whether you’re planning to sell and hoping to raise the value of your property, or simply to ensure many more years of safe use. Oak is not a rare wood, meaning that its use is not only more environmentally friendly than that of mahogany, for example, but also means that it doesn’t cost an arm and a leg. 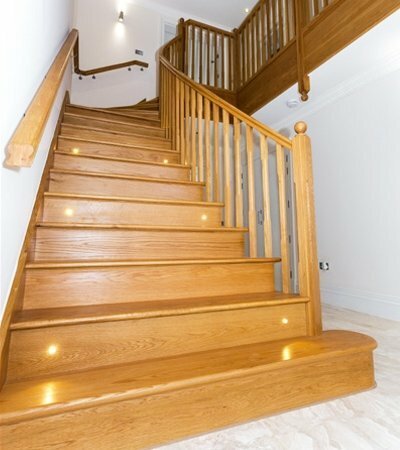 Oak, particularly the American white variety, is the way to go if you’re looking for a staircase that is both affordable and beautiful, as well as sustainable. Get in touch with Pear Stairs today by phone on 01938 553311 or by contact form via www.pearstairs.co.uk/contacts for more information about the components we have available and just how we can help to supply the materials for your new staircase. You can also visit our online shop to browse fittings, to receive an instant quote with our online stair builder, access our comprehensive staircase information hub and read up on UK staircase building regulations.